A couple from the Midlands left their old lives behind and moved to St Ives in order to launch their own business and create a better life for themselves. 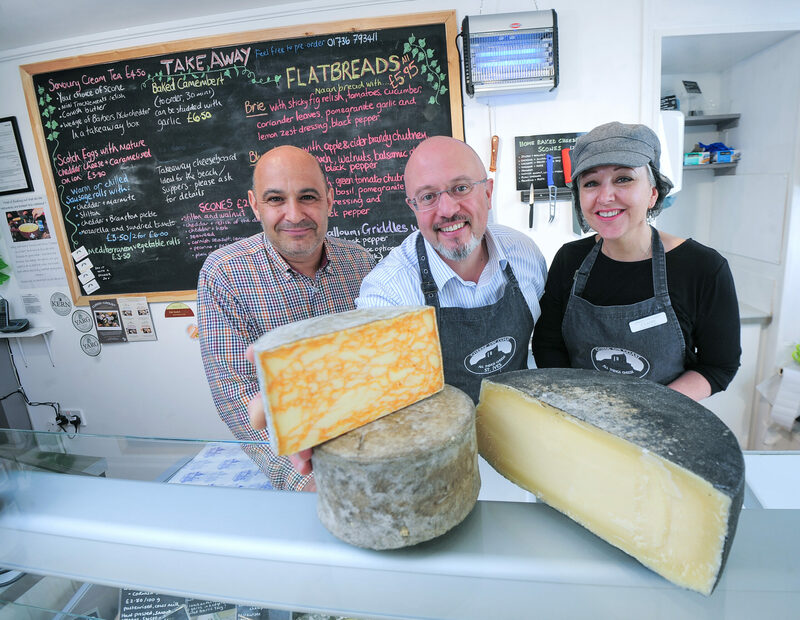 Nick and Claire Gane left thirty year careers in Construction Management and Nursing and re-trained in cheese before starting their own boutique cheese shop, Cheese on Coast in St Ives. Nick says: “We wanted a complete lifestyle overhaul. I was travelling all over the country and staying away a lot for my work and Claire was a community nurse and so also on the road all the time. Nick and Claire travelled to London to take a Guild of Fine Food cheese tasting course to learn all about cheese and how it’s made, before following it up with a retail training course. To continue growing their knowledge they’ve enrolled in the Academy of Cheese, an industry recognised qualification where ultimate they could become a Master of Cheese. While learning about the product, Nick and Claire found premises in St Ives where they wanted to open their shop, but needed some financial support to get it up and running. “We spoke to our bank and they recommended we speak to SWIG Finance who can help with start up business funding. Business Manager from SWIG Finance, Mark Thayre worked with Nick and Claire on their application and was delighted to be able to support them in launching their dream. Mark comments: “They had picked out a great location in St Ives and had put so much work into selecting their products and understanding their market. Cheese on Coast finally opened on 19 March with two floors of cheese and cheese related products. As well as more than thirty cheeses in the counter, the shop offers takeaway flatbreads, baked camembert and raclettes and other savoury products such as sausage rolls and scotch eggs. “It’s been daunting and frightening but it’s also great fun. We’re still learning as we go and looking to bring in other products, such as vegan cheese, takeaway cheese boards and an olive bar.